Interesting story...But the GI Joe is pretty damn awesome! I also saw the Heat Man one he made, and it looks kind of creepy, but sweet! Ugh.. That's ugly!!! What's wrong with them ? Jeez! Japan rules! Yeah, I agree, the GI Joe figures don't make great Rockman models.....but nice try. This guy's figures always reminded me of what Mega Man characters might look like in a big budget live-action Mega Man film. Person obsessed with calling people weeaboos detected! My god! That is amazing! @Midnite: KR Knight is the first person I thought of when I saw Zero's visor. I'm surprised someone besides me and Ace in the RockMan fanbase watches Kamen Rider. 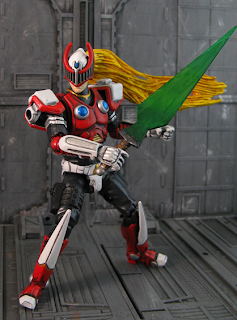 ...I wonder if he used some of the parts from the Kamen Rider toy line to make Zero. Some of those parts do look almost identical to the KR Knight model. They are cool and creepy at the same time! Napalm Man, Grenade Man and Mars would look great in G.I. Joe format.